HeroesCon is coming up, and I will be sharing a table with Kiara again! Copies of Ruby Red will be available for purchase, as will prints and commissions and buttons. 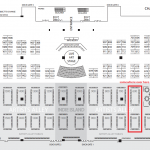 As of right now, we will be at table AA-623! Meanwhile, I am working on the next pages of Ruby Red. The hiatus is going on a little longer than I anticipated, but Ruby Red will be back soon enough. You can follow me on Twitter or Tumblr or Facebook if you want to be kept up to date on the progress of the comic (admittedly I don’t update facebook much, but I will with the things that matter). See y’all at the con!